Porsche has announced a new pilot program in which buyers will be able to experience the new 918 Spyder through a webcam service. Porsche will offer several 918 Spyder Webcam Experience packages. The basic package, priced at $2.99 per minute, allows the viewer to look at the 918 Spyder as it rotates on a turntable. 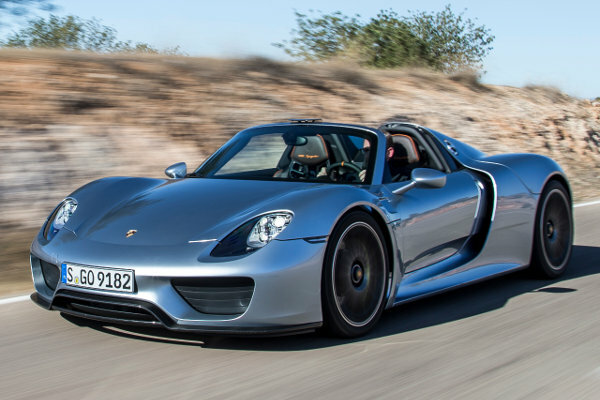 Seeing the 918 Spyder with its top removed costs an extra $2 per minute. For $7.99 per minute, viewers may take control of the turntable and rotate it to the angle of their choosing. A high-end package, priced at $14.99 per minute, allows a viewer to have the 918 Spyder parked in any position he wishes, and he may turn on his microphone and speak to the 918 Spyder. Porsche plans also sell items related to the webcam sessions ranging from still photographs from the session ($29.99 for three different poses) to a floor tile from the shoot with an authentic 918 tire track ($159.99). Porsche says the 918 Webcam program will available exclusively to adults over 21 with a valid credit card, and will not be offered in Texas, Missouri, or Nova Scotia due to conflicts with local decency laws.